Communication is supported to all Mazatrol controls which has a RS232 com-port. 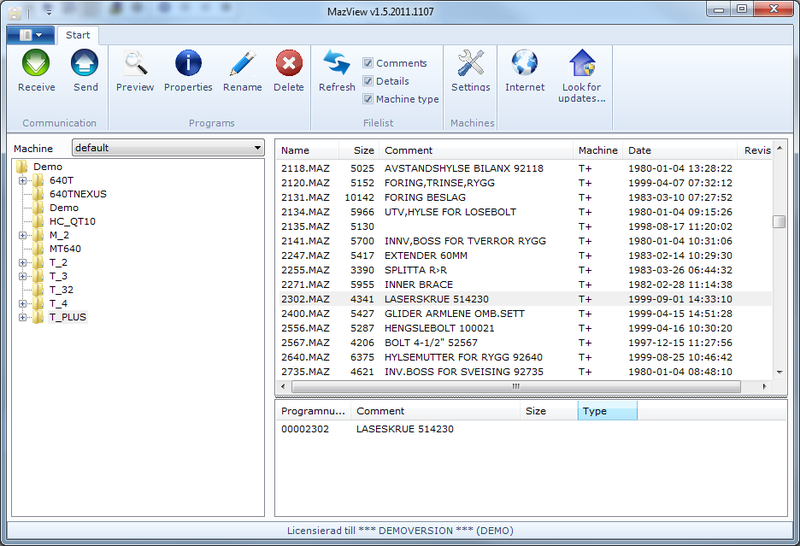 MazView reads and previews* a number of formats including binary/ASCII Mazak Camware, RWT, Lyddekker, Facit N1060, PBD files, and others. MazView allows previewing of Mazatrol files on your computer. Not all models are currently 100% decoded but we improve the translation all the time. There's a print function for the preivew as well, which allows you to actually save or view the Mazatrol program on paper. You can use MazView to organize your Mazatrol files. 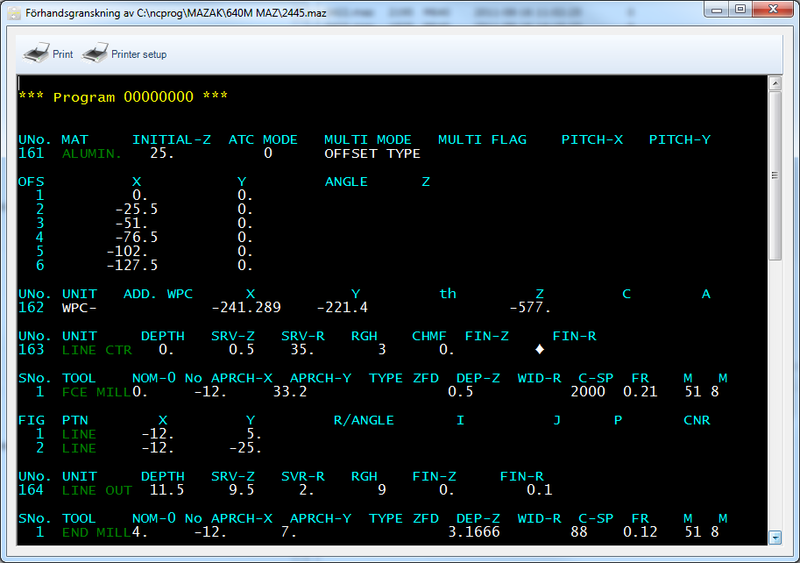 You get an good overview with display of contents of a mazatrol file. 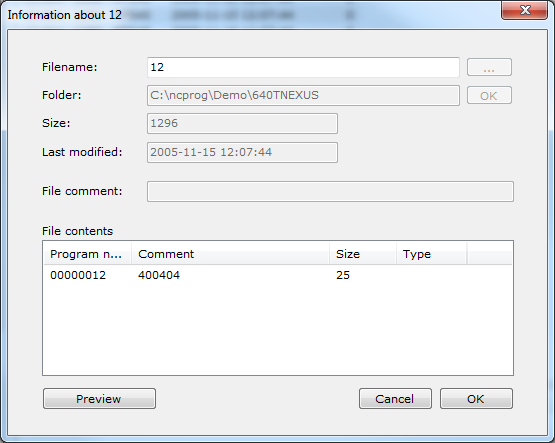 For example if the file consist more than one program, the program number and the comment. It also displays various information about tool lists and parameters. Mazview gives you the ability to add extra user information in the Mazatrol file, which doesn't get transferred to the machine but can help you organize your files even further. If your PC has an integrated Floppy disk drive, MazView have a funtion to import and convert files from Mazak Micro Disk System disks. Serial COM-port (or USB to RS-323 converter) if used for communcation.